Extracellular fatty acids, and natural renewable coconut oil palm oil fatty acid derivatives - MES fatty acid methyl ester sulfonate / sodium, as well as baking soda and other ingredients. 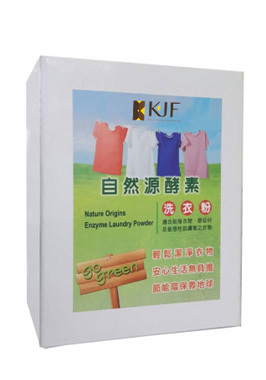 Effective decontamination, deep cleaning, white and bright clothes, antibacterial deodorant, clothes are washed well, does not hurt clothes, does not hurt hand, no residue, no irritation and no harm to the human body by harmful chemical substances, is the best choice for personal clothing, infant clothing and allergic skin. No addition of Fluorescent agent, Bleaching compound (tetraacetyl ethylenediamine TAED, pentamethylphosphoric acid, N-phthaloylhexanoic acid N-PAP, NBS, perborate, etc. ), volatile organic compounds VOC, nonylphenol, chemical brighteners, Solvents (2-butoxyethanol, isopropyl alcohol, benzyl benzoate), EDTA, benzophenone, chemical sterilization deodorization (Dibromo, tribromo, salicylanilide and trichloroanilide, etc. ), fragrance colorants, chlorine and phosphorus compounds, the environment, Hormonal surfactants and ethoxylates, sulfate compounds and other related chemical toxins. 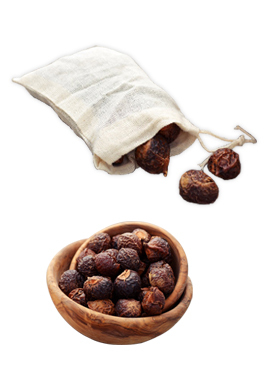 Soap nuts are also called berry shell that naturally contains soap. They grow on the Sapindus mukorossi (Soap Berry) tree in the Himalayas. The natural soap found in these berries is called saponin. Saponin is a natural cleaner that works as a surfactant, breaking the surface tension of the water to penetrate the fibers of your clothing, lifting stains from the fabric, and leaving dirt suspended in the water that is rinsed away. Soap Nuts are gentle on both clothes and skin, making them ideal for those with sensitive skin, eczema, allergies and psoriasis. While commercial detergents and soaps have marketed heavily around that visual, foam simply is not an indicator of cleaning power. All Soap Nuts are wild-harvested, meaning they are gathered from wild trees grown without any kind of chemicals, fertilizers, or pesticides. Saponin actually tastes bad to insects so no pesticides are needed, and the trees naturally love poor uncultivated soil. Place 4-5 soap nuts in the reusable wash bag provided and tie it closed. The bag should be in size of 6 X8cm or 8 X 10 cm made by cotton fabric. Put it in with your laundry and wash as normal. We recommend following the instructions on your garment tags for the temperature and type of wash cycle that is best for the fabric. Remove the bag at the end of the wash and set aside to dry or do another load. Re-use up to 5 times until they start to disintegrate and then they can be composted in your garden or simply add new Soap nuts to the bag. Soak 10-12 soap nuts in a normal water and boil it for 10-15 minutes at a medium flame. Keep it for cooling and then transfer the water into a bottle. Use the soap nut liquid now for washing utensils. With the same liquid formed water of soap nuts which is used for washing utensils can be used for cleaning and mopping the floor. It will also prevent your house from entering the bugs. Citrus extract, edible grade baking soda, lauric acid monoglyceride, corn glutamic acid, starch thickener, natural food grade diatoms, pure plant citrus extraction of high-tech formula (no addition of petrochemical surfactants, quartz powder, phosphate, nitrobenzene, phenolic, chloramine, melamine, chemical soap and fragrance and other chemical ingredients), the composition of natural non-toxic and non harmful for human health and the environment. 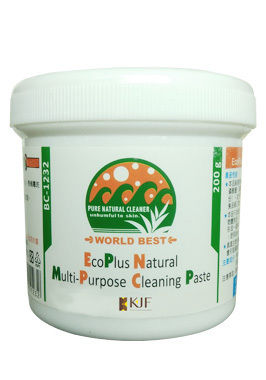 It is the world's unique food-grade cleaning products. This product does not contain strong acid and alkali formula, no corrosive and harmful gases or any other chemically reactive substance. It does not scratch the surface of the object, highly effective and quickly removes all tenacious grease, stains, tar, rust and forms a layer of protective film, long-term anti-mildew, anti-dust, moisture is not damp, with anti-static effect; after use as bright as new. It is highly biodegradable and will not cause the environmental hormones to destroy the ecology. Long-term contact with the skin will not cause allergies or irritation, and will not endanger human health. Kitchen equipment, kitchen utensils, flow tables, range hoods, ovens, pots and bathroom tiles, toilet mould stains, dirt scale. Applicable to all kinds of gold, silver, copper, iron, stainless steel and other metal material rust removal treatment. All kinds of ore and ceramic equipment, vases and other decontamination. Military products: copper ring, barrel, gun rust treatment (can replace copper oil). All kinds of antique jewellery oxidation or dirt treatment. Squeeze the amount of decontamination paste in the soft dry fine fibre cloth or fine fibre dish cloth and wipe (do not need to add water) directly, until the dirt or rust is removed and then wipe with a damp cloth or rinse with water. Passed more than 20 SGS food level tests. Dissolves quickly and removes any greasy stains effectively. Non-irritating, non-allergic. 99% or more antibacterial and biodegradability. Washing dishes, kitchen and utensils cleaning. Home cleaning: bathroom, tiles, furniture, tables and chairs, floor and glass. Wipe all kinds of leather goods, purses, shoes, sneakers and sofas. Clothes grease, collar cuff dirt treatment. Natural stone (marble) of the cleaning and maintenance. De-label (double-sided adhesive), De-wax, remove asphalt on auto parts, oily parts treatment of engine. Directly sprayed on the items to be cleaned, wipe with a damp cloth or scrub sponge, and wipe it with a clean damp cloth or rinse with water. 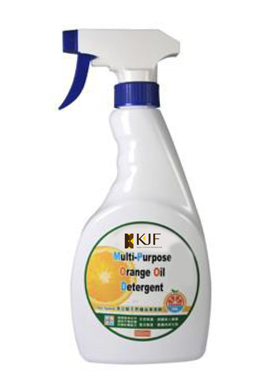 Pour 80~100ml of the detergent for laundry , depending on the number of clothes. For floor cleaning, dilute the detergent 500 times by water and mop. Citrus oil extraction, citric acid, wheat chitosan, glucoside coconut oil fat, polysorbate, poly Glycerol palmitate, natural sea salt, de-ionized water. In line CNS standard class III cleaning agent, patented all natural plants and non-toxic formula. Dissolves quickly and removes any greasy stains effectively. Passed more than 20 SGS food level tests. Does not contain phosphorus, chlorine, benzene, plasticizers, petrochemical surfactants, fragrances, preservatives or other harmful substances. Natural and mild decontamination. Non-irritating, non-allergic. Do not hurt skin or material. Skin care and antibacterial. 99% or more biodegradability, Does not pollute water nor damage ecology. 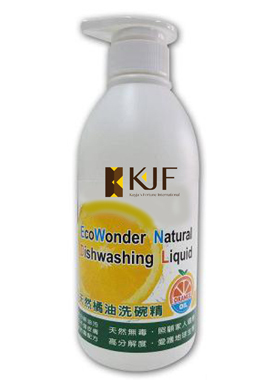 L.
Less bubbles, easy to wash, no residue, saves time, effort and water, Energy saving and environmental protection. Clean dishes: apply suitable amount of the liquid to a damp cloth or scrub sponge, clean the dishes then rinse with water; or dilute the liquid in water and immerse the dishes for 10 minutes then rinse with water. To reduce pesticide residues on vegetable or fruit: make a very dilute solution of the liquid in water and immerse the vegetable or fruit for 3 minutes then rinse with water. To clean the house (tiles, walls, stainless steel, door panels, flow tables, gas stoves, tables and chairs, etc. ): apply suitable amount of the liquid to damp cloth or scrub sponge, clean the utencil ; then wipe dry.